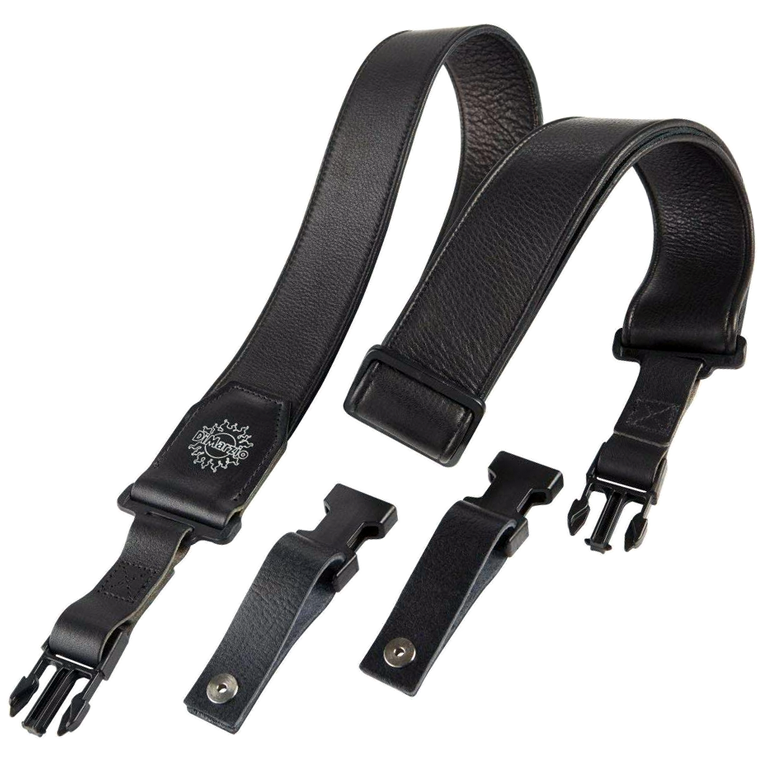 The Luxury Leather™ ClipLock® strap is made of the finest quality calfskin with a high tech foam filler making this the softest 2-inch leather ClipLock® strap ever made. The sides are rounded under before stitching for extra comfort. The leather has a smooth natural texture allowing the strap to move freely over clothing and offering superior comfort. The ends are made of thick Italian leather and embossed with a silver DiMarzio® logo.